A fresh twist on a classic combination. This Cranberry Quinoa Salad with Orange, Mint and Kale is an easy Thanksgiving side dish for your holiday turkey or weeknight chicken! Sponsored by Whole Foods. 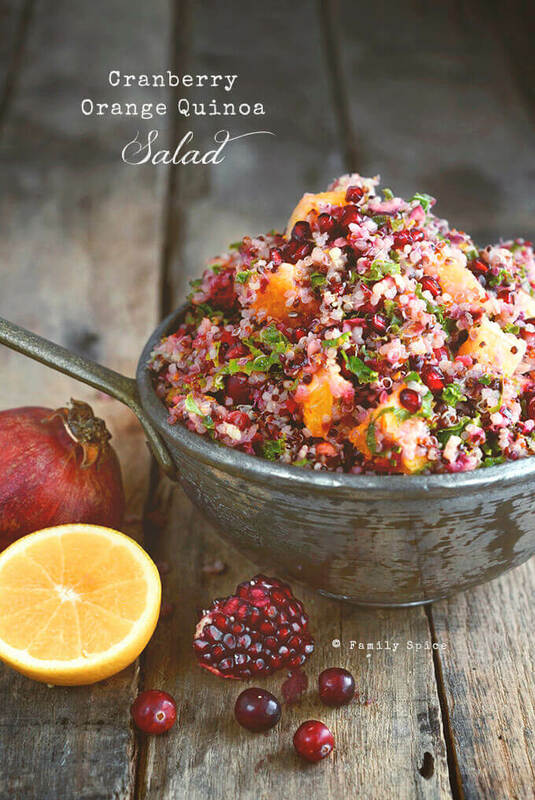 Cranberry Quinoa Salad with Orange, Mint and Kale makes a delicious, healthy and easy Thanksgiving side dish. One of my favorite meals of all time is the classic American Thanksgiving menu. Every year I look forward to it. I think I’m more excited about the leftovers, as I get to savor the meal days later. The flavor combinations, the colors and just having everyone together (if only for one meal) makes this holiday more treasured to me than Christmas. No gifts are exchanged on Thanksgiving. It is not about presents, toys or the other materialistic things that bombard our holidays. It is about family, love and being thankful for what we have. I do not always host the Thanksgiving feast, but I welcome the job when I do. I love cooking everything from scratch, and everyone notices the difference a fresh, homemade meal tastes. Thanksgiving does not have to come from a box or can. 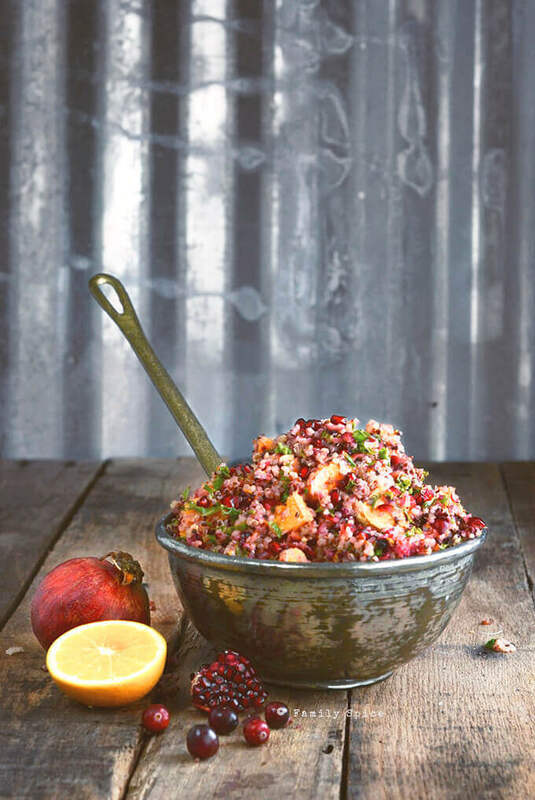 And this Cranberry Quinoa Salad with Orange, Mint and Kale is a prime example of a healthy and delicious dish. Fresh ingredients, nothing processed, make this Orange Cranberry Quinoa Salad taste fresh and amazing! If you haven’t noticed, quinoa has taken over the food community by storm. It is not a grain, but the edible starchy seed of a flowering plant in the amaranth family. Quinoa originates from the Andes in South America. Archaeologists have found evidence of quinoa dating back 5,200 to 7,000 years ago. It’s no wonder why it’s call an ancient pseudo-grain! Quinoa comes in assorted colors. 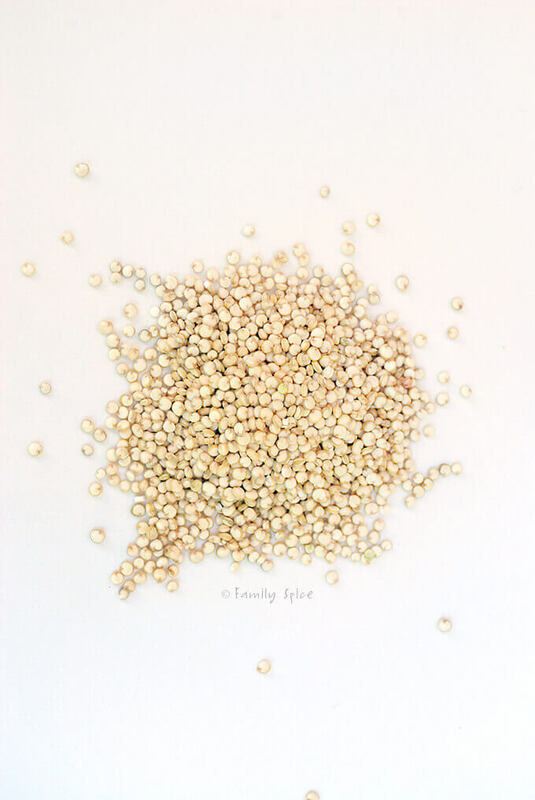 Most common colors of quinoa are white/tan, red and black. They also come in purple, pink, grey, orange and green. The different varieties of quinoa vary in texture and flavor. The white quinoa cooks the fastest. But don’t fret. The difference is only in a few minutes. Quinoa, no matter what color, still cooks up faster than rice. White (or tan) quinoa is the most popular of the different varieties of quinoa. Quinoa can be enjoyed in practically every health food diet out there. The gluten-free crowd loves quinoa because, surprise: it’s a seed and it’s gluten-free. The paleo crew loves it because it is an ancient “pseudo-grain” and is totally unprocessed. The low-carb enthusiasts love that this is fiber rich and high in protein. And vegetarians love quinoa because it’s a complete protein source. Quinoa is also rich in Vitamin B, folate, magnesium, phosphorus, and manganese. So, if you haven’t tried any quinoa recipes, do you realize what you have been missing?! Quinoa naturally has a coating around it that produces a bitter taste. Most quinoa that we purchase in stores today has this coating removed. Some people think you still need to wash your quinoa before cooking it, to remove the bitter flavor and to aid in digestion. I have found that most varieties of quinoa sold today does not require the extra rinsing. 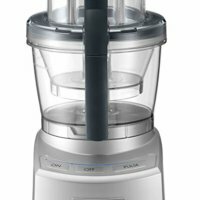 I personally, do not rinse my quinoa before cooking it and I have never had any issues with bitterness or digestion troubles. If you prefer to give it a rinse, feel free to do so. It doesn’t take up much extra time or effort to do so. Quinoa is a seed and not a grain. 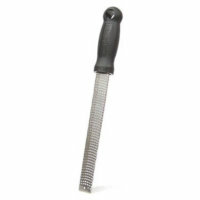 It cooks up quickly, in only 12-15 minutes. Quinoa’s size makes it a quick cooking dish. You cook it as you would rice. For every cup of quinoa, cook in 2 cups of water. To cook quinoa, I put the quinoa in the pot with the water and bring it to boil together. Once boiling, reduce the heat to simmer, cover the pot and cook until the water is absorbed, about 12-15 minutes. Remove the lid and fluff the quinoa with a fork. Like rice, you can add a dash of salt in the water as you cook the quinoa. You can always season it after the quinoa is cooked, as well. You can also cook quinoa in vegetable, chicken or beef broth. You can also cook quinoa in milk or coconut milk for a breakfast option. Many complaints about quinoa I get from readers is that it turns out mushy. This is usually because it was cooked for too long and/or with too much water. 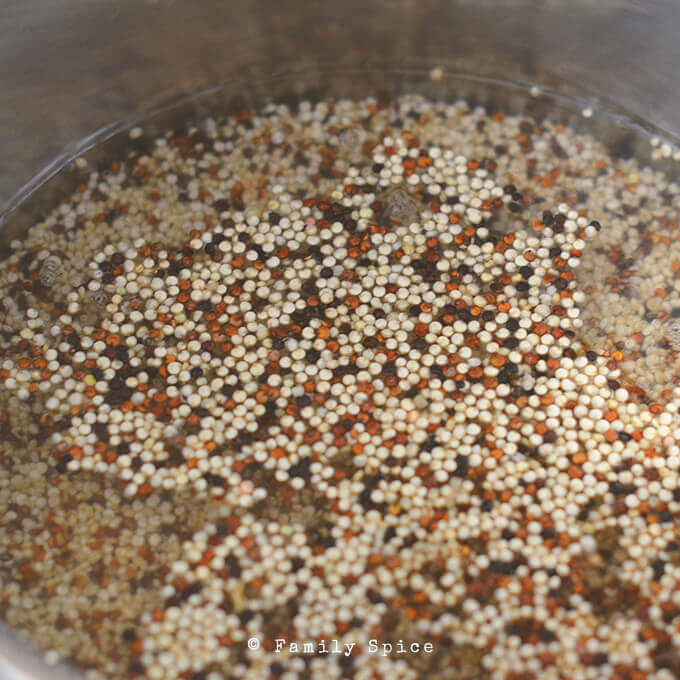 Also, once the water is absorbed and the quinoa is done, remove the lid from your pot to release the steam. Continual steaming will also cause your quinoa to turn mushy. Fresh orange zest makes a big impact in any dish, but especially in this Orange Cranberry Quinoa Salad. This Cranberry Quinoa Salad is unique because it features raw cranberries. And YES, you can eat raw cranberries! Cranberries are naturally tart and you typically see recipes that cook the cranberries or use dried cranberries. I chop them up raw and add a touch of honey and oranges to balance the tartness with some sweetness. Raw cranberries are rich in phytochemicals that protect your body from sickness. They are also rich in antioxidants, fiber, calcium and Vitamins C, A and K. So if you want to try something new this Thanksgiving, put away that cranberry sauce and enjoy raw cranberries in this delicious Cranberry Quinoa Salad. Orange and cranberries aren’t the only fruits in this beautiful salad. I also added my family’s favorite fall fruit, pomegranate, to the mix. 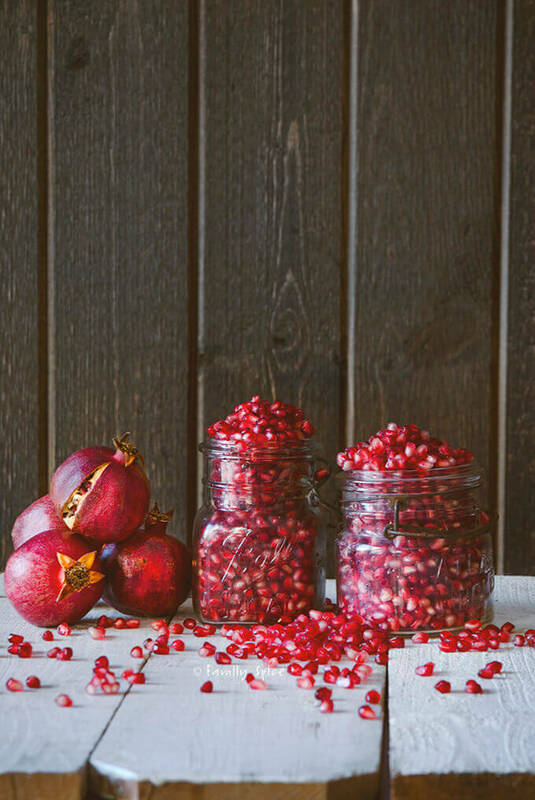 Now pomegranate is another antioxidant powerhouse. I’m so happy that my kids eat it up by the bowlfuls that I put it in everything! Seeding a pomegranate may seem to be tedious, but it does get easier once you get the hang of it. I have a great post and video that shows you how to quickly seed a pomegranate without getting pomegranate juice stains everywhere. Click here to learn how to seed a pomegranate. 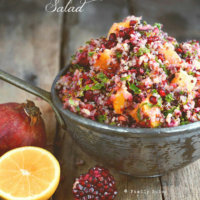 A bowl of this gorgeous and vibrant Orange Cranberry Quinoa Salad will make your Thanksgiving meal even more special. Now this Cranberry Quinoa Salad is really something unique and different to show off on your Thanksgiving table. There is still the classic orange and cranberry combination we all love, but without the toothache from all the sugar that most cranberry sauces contain. I added nuts in this salad for a bit of crunch, kale for green and nutrients, and fresh mint to round out the flavor. It is a light and refreshing “salad” that is delicious cold or room temperature. And look at the gorgeous colors! I hope you add something new and different, like this cranberry quinoa salad to your Thanksgiving table. That bit of old mixed in with new makes for a fun and delicious meal with family and friends. 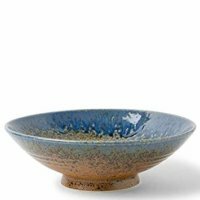 Need some more beautiful side dishes to brighten your Thanksgiving table? A fresh twist on a classic combination. 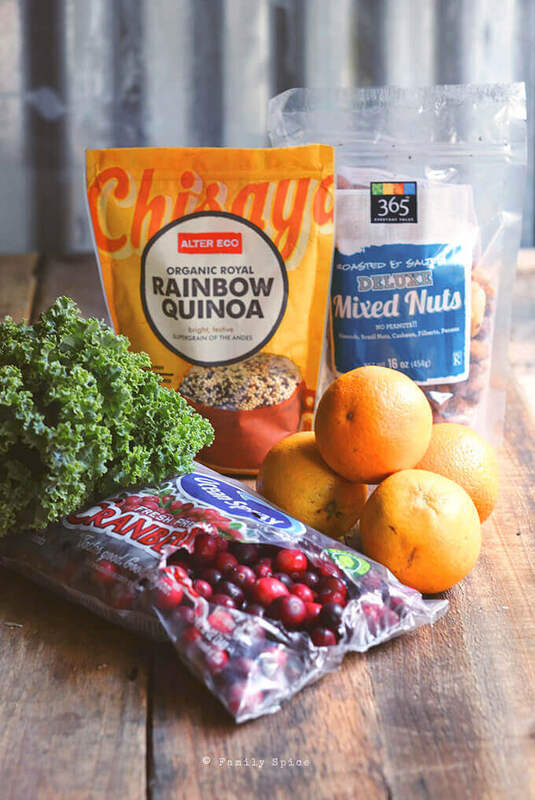 This Cranberry Orange Quinoa Salad with Orange, Mint and Kale is an easy Thanksgiving side dish for your holiday turkey or weeknight chicken. Wash, remove stems from kale. Finely chop kale and add to the quinoa. Disclosure: As part of the Kitchen PLAY Community, I was paid a stipend to develop a Thanksgiving recipe for Whole Foods Market. All of the opinions I expressed here are my own. If I didn’t like it, I wouldn’t blog about it! That’s better than a bowlful of precious stones and even prettier. Wow. I love it. I love the way that salad looks! Must try! Nice use of kale here, and we like how you put the hot quinoa with the kale shreds to soften it up a bit. I figured that trick out awhile back, as it’s the best for me to eat (and digest) kale without cooking it down. Thanks for sharing!!! Agree that so many TG menus lack fresh-tasting sides. Love this one! I make the traditional cranberry relish all the time, but not a salad like this. Love it! So colorful and I’ll bet that flavor is wonderful. And with pomegranate arils included, how could it not be? (I knew you’d sneak pomegranate in there!) Good stuff – thanks. The cranberries reminded me of pomegranate so I had to add them! Of course, everything reminds me of pomegranate! Laura, I LOVE THIS! Definitely one I want to make, simply glorious, thanks. Such a great dish for Thanksgiving and it looks gorgeous! What a stunning salad! I always try to make healthy sides happen at our family Thanksgivings (to mixed success, I have to admit!) I love the sound of this one and the addition of raw cranberries is pure genius! Such a pleasure to cook along side you for Whole Foods! Thank you, Elizabeth. I know what you mean about hit or miss with the healthy eating at the dinner table! It’s been great cooking with you, too! That is the most beautiful fall salad I’ve seen! YUM! Who said fall can’t produce beautiful salads???? I love the flavors you have in this dish and it’s gorgeous to boot! Thank you, Amanda! I hope you are able to try it, too. I didn’t care for lima beans when I was kid. I still don’t now. But, I’m happy that I have outgrown my other childhood food aversions. So I suppose there is hope for my kids, too! Maybe your mom used faro or another grain? I’m guessing quinoa was extremely hard to find in 80’s. These tips for keeping Thanksgiving real and doable are awesome. And I love that you put fresh cranberries in your quinoa salad! It’s rare to see them used like this without a ton of sugar! I hate when I set goals during the holidays that are unrealistic and to difficult to achieve. I’ve learned over the years that streamlining keeps me sane during these chaotic times of the year! That is a feast for the eyes as well as the taste buds – just gorgeous. Look at all those vibrant colors! Beauteous! We’re much more traditional around here–there would be a huge fuss without the old family favorites–but you’re inspiring me to try something different. I know what you mean. Too much experimenting and my family revolts! But I like to sneak in one or two new things, especially when I have a crowd and such eager taste-testers! I haven’t made a quinoa salad since this summer…so I’m WAY overdue. This autumn version looks perfect! So glad you liked it! The oranges I used were medium-small, so that might make a difference. Thanks for trying it out and have a great holiday! Why was it necessary for you to weigh in with such negativity? Fresh is always best. If you buy organic veggies, in season, as all of these are, even if they are a couple of days old, they’re still better. Have you ever tried to cook something delicious with frozen green beans. They turn to mush in a heartbeat. I grate in some of the zest for more flavor, but the oranges are peeled and chopped. Full recipe is here: http://familyspice.com/recipes/recipe/?recipe_id=570. I hope you like it! I have made this recipe several times since I found it last fall. We love it!!! I have to make a double batch each time because it goes so fast! Do you have calorie per serving information? will this still be good if I make ahead? It looks delicious! 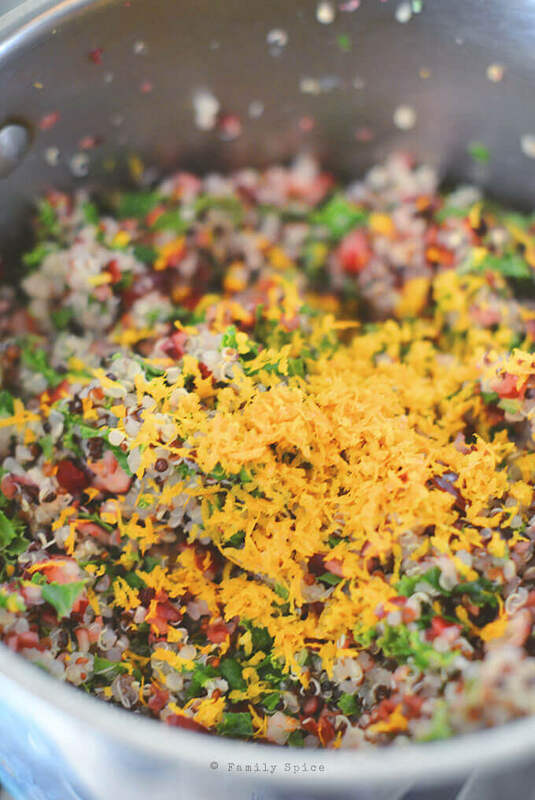 You can make the quinoa ahead of time and mix it the next day. The longer the entire dish sites, the soggier the fruit and quinoa will get. I suggest mixing it the day you serve it, up to 8 hours? I love this quinoa salad recipe!! The combination of cranberries and oranges is perfect – a great salad. I modified the recipe a bit and added 3 cups of fresh spinach and some dried cranberries, and I left out the pomegranate. Hi Valerie! Glad you like it and I like your variations! Thanks for sharing! Such a gorgeous salad for this season, with the pretty hues of fall. I love cranberries and orange together. Quinoa sounds like a perfect grain for balancing the textures and flavors. I have not tried the salad warm because I didn’t want everything to turn mushy. If you want to serve it warm, do not overcook the quinoa or you will end up with a bowl full of mush. Did you use salted or unsalted nuts in the recipe? You can use either, but I prefer salted nuts. So very very very delicious!! Just made it for the 1st time for Thanksgiving today and I am seriously considering not bringing it to my in-laws so I don’t have to share it !!! 🙂 added some orange champagne vinegar that I had laying around, and before adding kale to cooked quinoa, I massaged it with some olive oil and the vinegar!! Looove it!! Will forward this recipe to all my friends!!!! Thank you for taking the time to let me know how much you liked this recipe. I love champagne vinegar! It’s so light yet full of flavor. I hope you and your family have a wonderful Thanksgiving!